When the Edmonton Oilers announced the signing of Matt Benning to a two-year deal in August of 2016, many felt the club had lucked out and stumbled upon a player with the potential of eventually developing into a second pairing NHL defenceman. Isn’t it funny how expectations can change over the course of a calendar year? Instead of watching the St. Albert native work at his craft over a couple of seasons of yo-yo-ing between the Alberta capital and the AHL, we are now talking about an individual who ultimately could be the key piece in determining how the Oilers 2017-18 campaign plays out. With veteran Andrej Sekera sidelined for the first two to four months of the season, the need for a young blueliner to step forward is a must. As impressive and unexpected as his rookie showing was, Edmonton is going to need Benning to be even better during his sophomore season. While the youngster had the good fortune of playing his best hockey when paired with Sekera, unfortunately, that won’t be an option this time around. Instead, he will be asked to carry an even heavier load and do so lining up next to the polarizing Kris Russell. With Oscar Klefbom and Adam Larsson once again set to anchor the Oilers backend, overloading their plate with even more responsibility is simply a non-starter. Though the former could probably handle a few more minutes on a nightly basis, as he is just starting to scratch the surface, pushing the latter further would be a mistake and likely lead to a slip in performance. And that is something this group can ill-afford to have happen. Enter the former sixth-round pick of the Boston Bruins. The spotlight has unquestionably come sooner than anyone had expected and having him to hit the ground running this October is a must. From a defensive standpoint, Benning is certainly still a work in progress and suffered through some massive ups and downs during the club’s return to the post-season last April and those struggles should have surprised no one. 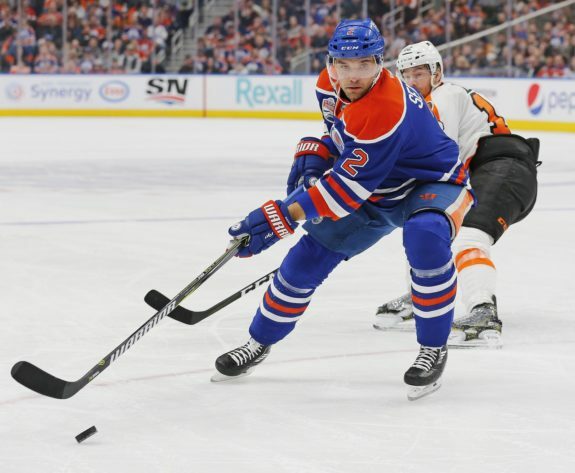 To his credit, he adjusted and arguably played his best hockey of the playoffs during the last half of the Oilers series with the Anaheim Ducks. A positive sign to be sure and one which looks even better when combined with his ability to move the puck and be a contributor on the power play. Next to Klefbom and Sekera, no one else on this blueline is even close to Benning on the puck moving front and it has allowed him to rocket up the depth chart. We saw flashes of what this kid can do on the man advantage last season and he has certainly earned an extended look in 2017-18. Benning’s patience with the puck at the point is unparalleled among the Oilers blueliners and more often than not, would find the open man. Add that to his ability to get that little black disc to the net and it becomes a matter of which power play unit he ends up on and not if he gets another look. Again, the comfort that came with lining up next to Sekera at even strength is something the 23-year old will no longer have in his favour and it will change the ask of him. Instead of being the complimentary piece on a pairing anchored by a rock-solid veteran, Benning will now have to become the glue that holds things together. With all due respect to Russell, he has never and no point will become that guy. Though his merits have been debated by fans since his initial arrival and taken to another level after signing a four-extension during the off-season, expecting a player to magically morph into something at the age of 30 is downright absurd. In other words, if Edmonton is going to survive Sekera’s absence, either Benning or Darnell Nurse is going to have to prove they are ready for an increased workload. In a perfect world, both take steps forward in their development and Russell is used on the third pairing at even strength and as a key contributor on the penalty kill. However, if one of the two can make that leap, this team should consider themselves lucky. 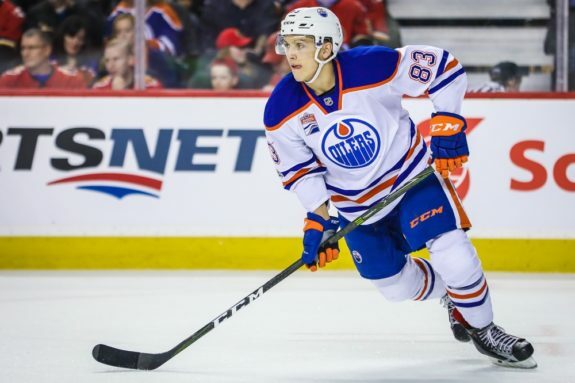 Either one is capable but when we look at what each has done during their brief careers, the smarter bet would look to be Matt Benning and the Edmonton Oilers are banking on exactly that happening.